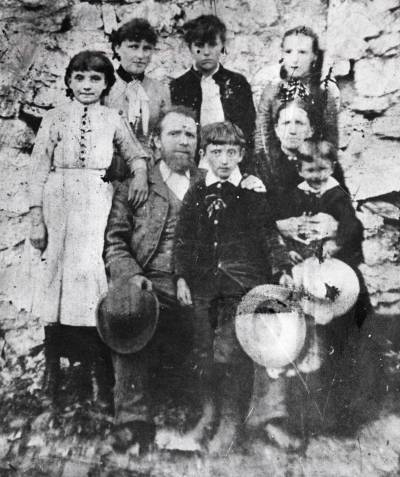 The Higgins family prior to their departure from Ireland for New Brunswick via Boston, 1870s. 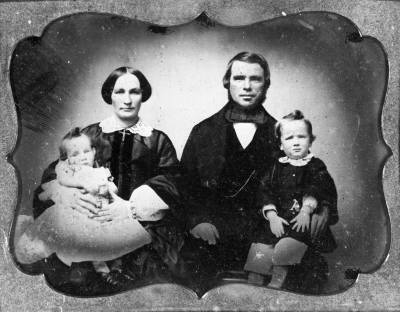 Charles Devine and Mary McCollough Devine with two of their children, ca. 1860. 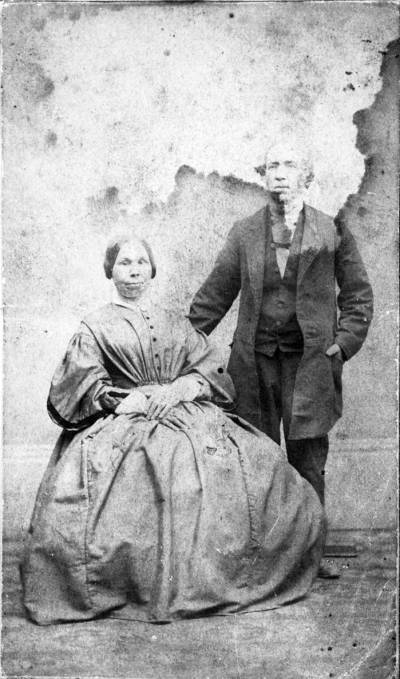 Mr. and Mrs. Dennis O’Leary, owner of O’Leary Tavern, pre-1880. Dennis O’Leary, a Roman Catholic, married his Protestant wife, Elizabeth Elston, in Ireland. They immigrated due to the mixed marriage.